Customers and suppliers from around the world joined the CMR Group this week for an evening of celebration to mark the inauguration of its new logistics platform of its Madrid-based subsidiary, CMR Infinita. 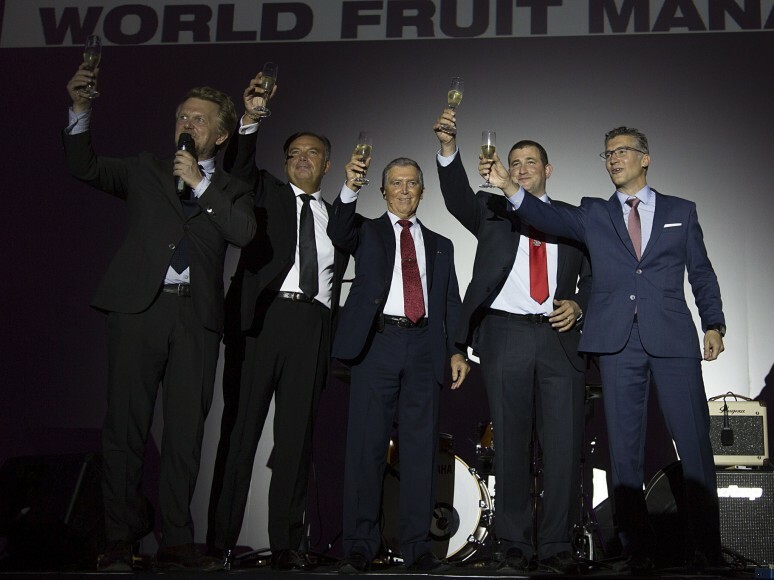 The party took place within the new facility at Madrid’s wholesale market on the second evening of this week’s Fruit Attraction trade fair, which saw tens of thousands of visitors gather in the Spanish capital for the tenth edition of the show. CMR used the event to showcase its extensive product range, which hails from every part of the globe, under the theme “Around the world in 80 fruits. The evening was also an opportunity for the company’s import-export director Carles Martí to look back on 140 years of growth and highlight the company’s efforts to put itself on a secure footing to meet the demands of tomorrow’s consumers. With an area of 8,765m2 that includes nine loading and unloading bays, six coldstores with a capacity of 700 pallets, and 36 ripening chambers that can house some 36,000 tonnes of produce annually, CMR’s new facility will enable the company to leverage its sales in the Spanish capital and surrounding regions. “Our objective next year is to build up our management structure in Mercamadrid to ensure that we are ready to handle this future increase in volumes,” Martí told Fruitnet.